Maybe this makes me sound “old” but here goes….. There is simply no social media platform that can replace the relationships that are formed by making time for face-to-face contact. Advocacy, in its finest moment, is best expressed in a manner which is both personal and passionate. And in the tiny house movement, you will find nowhere better to make personal and sociological changes, than at a tiny house event. In a few weeks, I will be headed East across this vast country of ours; to participate in the Tiny House NC Street Festival in Pink Hill North Carolina. And while I have attended more than a few events of its kind, I am particularly excited about this one; Andrew Odom’s brain-child-come-to-life. Why am I excited about THIS event? It won’t be held in a far-off field outside of town. 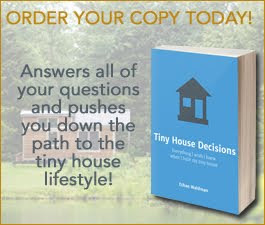 Picture this: A small town FILLED to the brim with tiny houses! Yes, the NC Street Festival will actually be held IN THE STREET! The vibe that will be created by showing America what “Tiny House America” can actually look like, will be pretty cool. Realizing Andrew’s vision was, however, certainly no small feat; and I for one cannot fathom how many meetings and emails it took to even get the permission to take over this town for an entire weekend. But the results will, no doubt, be quite impactful. 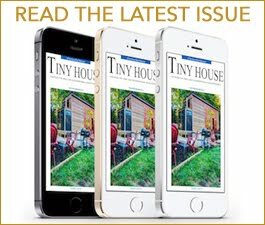 Instead of showing tiny houses, standing alone, connected only by a power cord, the newspaper and local news channels will show a town…a REAL TOWN…with tiny houses incorporated into the landscape. Consider what Advocacy in Action can do. The coffee shop, the restaurant, the grocery store, and likely even the hardware store and pharmacy will be brimming with fun people who think that THIS is how our rural towns should look and feel. The influx of leaders, and speakers, and builders, and vendors, and sponsors, and journalists, and enthusiasts will leave a lasting impression on all who attend. After having attended and participated in several tiny house events himself, Andrew’s vision includes many attributes of a well organized community gathering. 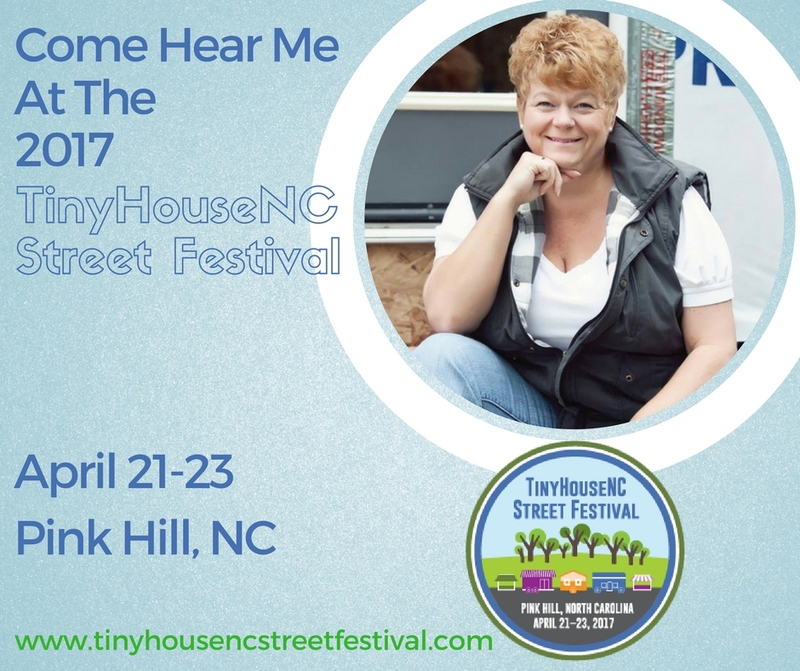 In addition to the tiny houses themselves and all of the great builders who will be on hand to answer questions, and all of the expert level speakers; (even Dee Williams will be there!) this event has all the little details already ironed out including a traffic management and parking plan, a large selection of product vendors to chat with, several food vendor options, adequate signage, waste recycling, volunteer perks, and a main stage that is centrally located. And That’s Where You’ll Find ME! “Honored” does not begin to describe how I feel about having been invited to be the Emcee for this event. While I will fully admit that it will be a busy weekend and a lot of hard work, I am looking forward to adding my personal spin to his vision. Andrew and I have worked the stage together, more than once, and I appreciate his organized yet go-with-the-flow attitude about what can sometimes be, pure chaos. You won’t find me ONLY on the stage, however. You’ll also find me roaming the tiny streets, helping where I can, making sure everyone is having fun and knows where to go. I may not be Southern but, rest assured, I can be as hospitable as any Southerner ever was! If you have not made your plans to attend yet, you should. If you have not requested time off from work, do it today. 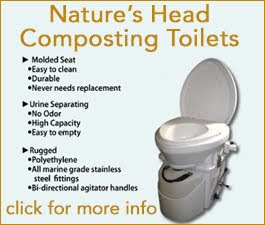 The event is being held April 21 - 23rd in Pink Hill, North Carolina. If you have not bought your tickets yet, what’s stopping you!? And when you get there, don’t forget to find me and say “Hello!”.